Rangers’ European renaissance under Steven Gerrard continued with victory over Rapid Vienna in Glasgow. The win means the Light Blues have now gone 10 Europa League matches without defeat – five wins and five draws – since the former Liverpool skipper took charge in the summer. When the draw was made, few people gave the Ibrox outfit much chance of progressing from a group including Villareal and Spartak Moscow. Many in fact suggested Gerrard had done as much as could have been expected by making the group phase. However, with four points from two games, Rangers sit proudly at the summit of Group G, one point clear of the Austrians, and have a real chance of making it to the knockout stages if they can maintain this sort of form. Going into the match on the back of a shock loss to Livingston, Gerrard had urged his players to have belief and they certainly responded in style after falling behind in the match. Veton Berisha broke the deadlock in the 42nd minute but within two minutes the hosts were level, Alfredo Morelos netting as the interval approached. 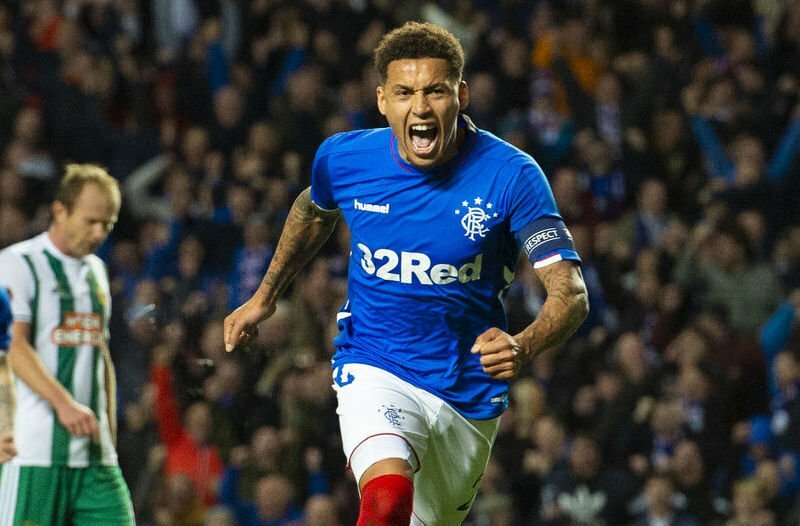 Rangers dominated the second half and finally earned the goal their play merited six minutes from time, James Tavernier converting from the spot after Morelos had been fouled in the area. As Vienna pushed for an equaliser, their space at the back was exploited by the home side with Morelos finishing a superb move on the break after a delightful backheel from Daniel Candeias semt him through on goal. “I thought we were excellent, all over the pitch, every single position I thought we were superb,” said the Gers boss. “That’s the Rangers I want, and if we get that consistently we’ll become a team. That’s the level. We beat a very good team tonight, and the supporters were incredible. Wow. “I’ve been blown away by my players’ performance. I asked for a reaction in and out of possession and I asked every one of them can they bring the A Game and they were superb. “I felt like we were growing until the weekend then we had a bump in the road and it was a poor performance. “It’s obvious now to the players that if we go to Livingston in that frame of mind and produce that kind of performance then we’re going to be inconsistent and not get to the level we want but if you compare that to tonight it’s night and day. Rangers: McGregor, Tavernier, Goldson, Worrall, Flanagan, Coulibaly, Ejaria, Candeias, Arfield, Kent (Halliday, 90), Morelos (Middleton, 95). Celtic were again found wanting on their European travels after finding a Salzburg side too hot to handle in the shadow of the Austrian Alps. Brendan Rodgers’ side were left licking their wounds despite getting off to the perfect start when Odsonne Edouard scored after just two minutes. The home side showed why they made it all the way to the semi-final of the competition last season as they piled the pressure on the Hoops. Celtic did well to maintain their advantage until half-time however the second 45 minutes saw the in-form Austrians ease to a second victory in Group B.
Munas Dabbur equalised with 55 minutes on the clock and six minutes later Salzburg were in front, Takumi Minamino stabbing the ball home from close range. 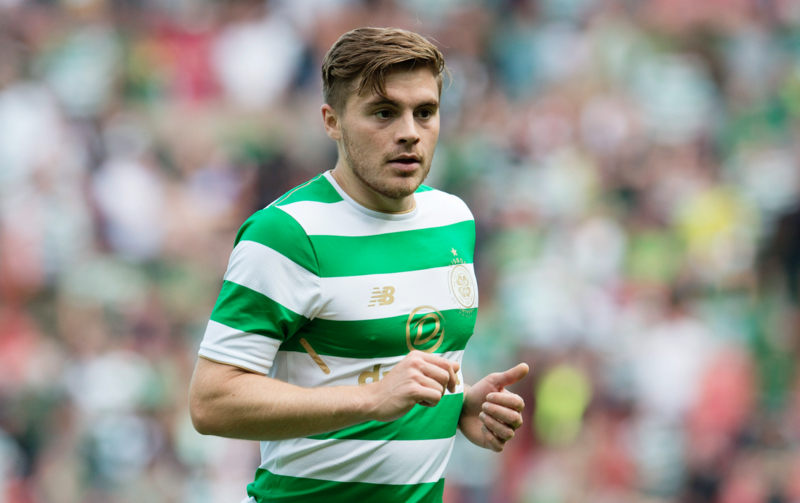 Any hopes Celtic may have had of rescuing a point from the game vanished in the 72nd minute when James Forrest brought down Andreas Ulmer in the box, Dabbur converting past Craig Gordon. Forrest was shown a straight red for denying a clear goal-scoring opportunity. Sloppy goals conceded in Europe this season have been a source of frustration for Rodgers, who said: “I think the best team won. I thought in the first half we started well and by the end of the half we had frustrated Salzburg. “You could see in their game and play and we carried a threat when we broke out of our shape. “So the first half I was reasonably pleased with, the second half we gave away disappointing goals. That was the frustration for us and then from that they gain confidence. “Obviously when it gets to 3-1 it is a difficult game for us with 10 men. Celtic: Gordon, Forrest, Lustig, Boyata, Hendry, Tierney, Ntcham, Mulumbu (Christie, 78), McGregor, Griffiths (Sinclair, 60), Edouard (Morgan, 82).